Elton John is urging the LGBT community to "wise up" over the ongoing AIDS pandemic. 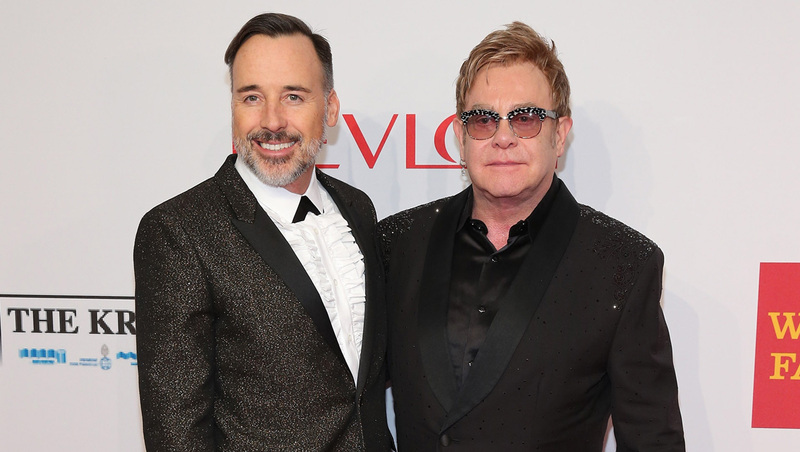 The entertainer was joined by partner David Furnish on the red carpet Tuesday night at New York's Cipriani Wall Street for the "An Enduring Vision" gala -- an annual benefit held to raise funds and awareness for the Elton John AIDS Foundation. According to John's charity organization, rates of HIV infection have remained at steady or increasing levels in many parts of the world, including the U.S., since the disease first became prevalent in the 1980s. The foundation points out that AIDS still ranks as one of the leading causes of death among male African-Americans. John urged members of the gay community not to view AIDS as a problem of the past. "It's important that gay people step up to the plate, acknowledge that, and wise up a little bit," John said in an interview with CBS News at the gala. "I want the gay population to realize that sacrifices were made before the medicines were available," he noted. "They're not used to, the current generation of HIV people, seeing them die and keel over, and I did. And I don't want those people to be forgotten." The entertainer also pointed out that he and Furnish will increase their efforts even further to raise awareness. "We'll be trying to help [the gay community] by being more direct with them in the future by being more supportive. I don't want to be aloof and lecture them," John said. Watch our video above to see John describe his meeting with Secretary of State John Kerry and what steps he expects the U.S. government to take in the future on the subject. Tell us: Do you think John is right about his warnings to the gay community?